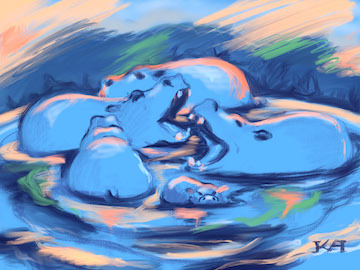 Learn how to draw and paint on your iPad, and how to use it for quick and easy studies that you can further develop with traditional media. In depth review of the Procreate app allows you to upload and modify photo reference, resolve color and composition issues in existing artwork and quickly test new ideas and color combinations for future paintings. All levels. Materials required: iPad Air or later model, Apple Pencil or other stylus, Procreate app (detailed instructions will be emailed to the participants). All levels.